We will learn to create a simple pastry dough, pate a choux, and steam rise it. We will discover how to make the perfect custard. We will learn custard piping techniques. From the simple pastry dough, you will create some of the most iconic desserts: eclairs, Profiteroles, cream puffs, Paris-Brest, and my favorite the St. Honore Cake! These can also become savory for gougeres and crab puffs. We will prepare the pastry dough and then practice piping techniques with a pastry bag. The pastry is steam risen to create a hollow center to be filled with cream or custard. ​You may love making it so much, you will create it for your loved ones as well - or eat it all yourself! Don't worry - your secret is safe with us. This class will last 2-2.5 hours. 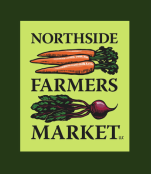 Class will be held during the Northside Farmers Market in the North Church kitchen from 5-7pm. Students are expected to bring their own chef's knife. All other items will be provided.